This couple's boxer dog made his way into a lot of my photos from this wedding at the Weyerhaeuser Estate in Tacoma, Washington. 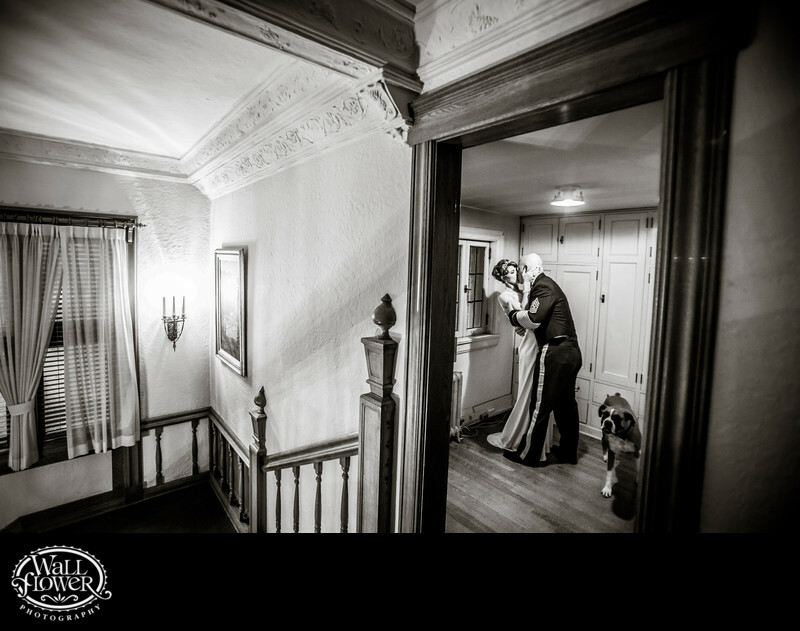 Unlike most photobombs, his actually made my photos better, particularly this one where I had posed the bride and groom for a passionate kiss in a room at the top of the stairs. By taking a perspective outside their room, the photo conveys a sense of capturing a peek at something private — and getting caught by the dog! The black and white effect gives the photo a vintage look that matches the venue's historic charm.